Tax season is in full swing, and this year many Michigan taxpayers find themselves unpleasantly surprised that their federal refunds are significantly smaller than they were in previous years. Michigan taxpayers expecting refunds on their state tax returns may also feel the same way if they are subject to an outstanding judgment. Just as unpaid judgment creditors and their collection attorneys may garnish a debtor’s wages or bank accounts, they may also garnish a debtor’s state tax refund to satisfy the judgment. As with other garnishments, timing is crucial for creditors hoping to see any money from a tax refund garnishment. As a “first in time, first in line” collection mechanism, the first creditor to file its garnishment with the Michigan Department of Treasury (the “Department”) will likely receive the debtor’s entire tax refund. As important as it is to be first, creditors may have to wait before filing a garnishment with the court. Tax refund garnishments may only be filed with the court that entered the judgment after August 1 of each year. Once issued by the local court, the creditor may not serve the garnishment upon the Department until November 1 of that year. This 3-month delay is due to the large number of tax garnishments filed annually with local courts, which need time to process them. Shortly after a creditor serves the garnishment upon the Department, it may then serve the garnishment on the debtor. The debtor has 14 days to file an objection once the Department completes and serves the debtor with a disclosure. It usually takes the Department several months to send the disclosure, and it is not uncommon for creditors to receive tax refund garnishment payments well into the next calendar year, depending on when the debtor filed his or her tax returns. This delay is in part attributable to the massive volume of garnishments that the Department must respond to each year. A first-position creditor is entitled to 100 percent of the debtor’s state tax refund; the law provides no setoffs. Keep in mind that tax refund garnishment is a remedy only available at the state level. Judgment creditors cannot garnish a debtor’s federal refund. Tax refund garnishment is a very popular collection tool because it is relatively inexpensive and often gets previously unresponsive debtors to take action to resolve the outstanding judgment. 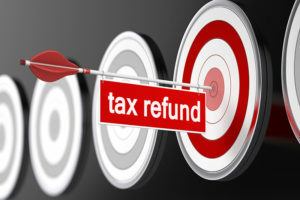 Taxpayers who expect and rely on a refund may find the motivation to try to work out a payment plan upon learning their refund is in jeopardy. Creditors should file tax refund garnishments annually so long as an outstanding balance remains, and they have a reason to believe the debtor is gainfully employed. For some creditors, a tax refund may be the only money they will collect from their debtor, so a garnishment of those funds should be a part of every judgment enforcement strategy. 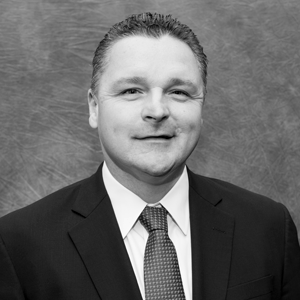 If you have questions about tax refund garnishments or other ways to collect upon a judgment or other monies you are owed, please contact Ray Schultz today at RSchultz@kehb.com or (616) 254-8400 to discuss your situation and the rights and remedies available to you as a creditor.